GME 2012 kicks off (0) October 30, 2012 The Goldfields Mining Exhibition kicked off in Kalgoorlie today with companies showcasing hundreds of products to visitors from all over the country. Brant Webb talks about Beaconsfield and mine safety at GME (0) October 30, 2012 Beaconsfield mine disaster survivor Brant Webb has shared his experience of the mine collapse to highlight safety issues on mine sites at today’s opening of GME. FIFO miners struck by lightning (0) October 30, 2012 Two fly-in fly-out workers have been hit by lightning strike in the Pilbara. Kiwis Against Seabed Mining to protest TTR’s Taranaki Coast plans (0) October 30, 2012 Kiwis Against Seabed Mining is campaigning against planned iron sand mining off New Zealand’s Taranaki Coast. 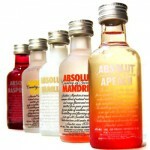 VDM announces redundancies, anticipates earnings loss (0) October 30, 2012 VDM has announced 40 redundancies and a predicted loss of $7-9 million for the first half of the year. CFMEU says Rio Tinto redundancy package discriminates against union workers (0) October 30, 2012 The CFMEU says that Rio Tinto’s redundancy package for its Blair Athol coal mine will discriminate against union members. 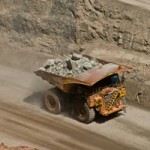 Mining complaints fall in the Hunter Valley (0) October 30, 2012 The number of complaints made regarding mining activities has fallen in the Hunter Valley. 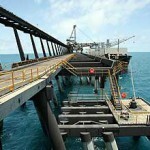 Third worker dies on coal ship (0) October 30, 2012 A third death on the coal ship Sage Sagittarius has been uncovered. MP pushes for the development of thorium industry in QLD (0) October 30, 2012 Federal Member for Dawson George Christensen wants Queensland to develop a thorium industry to shift the states reliance on coal. 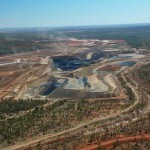 Peabody slams Gov, calls for resources competiveness (0) October 29, 2012 Peabody Energy CEO Gregory Boyce has slammed the Australian Government’s mining polices, and called for the establishment of commission to ensure resources policies serve the nation’s long term interests. 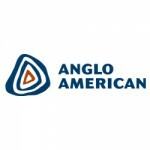 Cynthia Carroll steps down as Anglo American chief (0) October 29, 2012 Anglo American has announced that CEO Cynthia Carroll will step down from her position as head of the company. Miners at Appin to vote on strike (0) October 26, 2012 Workers at Appin Mine will today vote on whether to start industrial action over their pay dispute with Illawarra Coal. 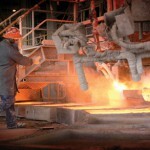 BHP cuts nickel jobs (0) October 26, 2012 BHP has cut around 100 jobs from its Nickel West operations. 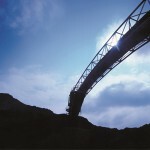 Newcrest expects growth to continue (0) October 26, 2012 Newcrest Mining have told shareholders a period of strong dividend growth can be expected as capital spending on projects peak and higher rates of gold are produced. 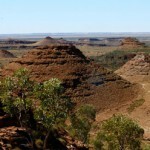 Mining company accused of destroying Indigenous site (0) October 26, 2012 A mining company is under investigation after allegedly destroying an Indigenous archaeological site in the Kimberley. New coal mine in QLD set to create 400 jobs (0) October 26, 2012 A new coal mine to be built in Central Queensland is expected to create more than 400 jobs when construction starts next year. Mining tax massive fail (6) October 25, 2012 The Federal Government has raised zero revenue in the first three months of the mining tax. 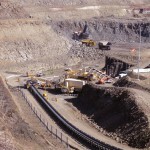 Consolidated Minerals, Boart Longyear lay off workers (55) October 25, 2012 Consolidated Minerals has reportedly layed off its contractors at its Woodie Woodie mine. Former Pike River boss denies safety charges (0) October 25, 2012 Peter Whittall, the former head of Pike River, has today denied charges that the company failed to ensure a safe work place at the mine. 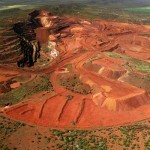 Strategic review may see Rio close Gove mine (0) October 24, 2012 Rio Tinto may close its Gove bauxite mine in an effort to cut costs globally. 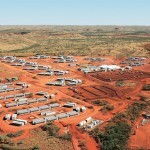 Rio enter into framework agreement with Resource Development Group (0) October 24, 2012 Resource Development Group has entered into an agreement with Rio Tinto to be the preferred contractor for its iron ore operations. 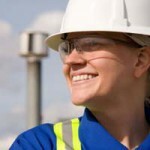 Skills initiative launched to tackle mining skills shortage (0) October 24, 2012 Resource industry employer group AMMA have launched a new government-backed program aimed at up-skilling Australian’s to work in the mining industry. 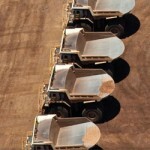 Monadelphous wins Rio contracts (11) October 24, 2012 Monadelphous has won a $320 million contract for construction and maintenance work at Rio Tinto’s iron ore operations in the Pilbara. 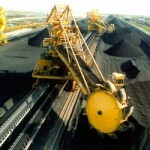 GVK to cut stake in Alpha Coal Project (0) October 24, 2012 GVK Hancock has delayed its Alpha Coal project by one year as it struggles to line up funding for the $10 billion dollar project. 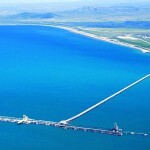 QLD reef study dismisses alarmist environmental concerns (0) October 24, 2012 A new report by North Queensland Bulk Ports Corporation has dismissed many of the claims regarding increased coal ships damaging the Great Barrier Reef. Reform needed to deliver on productivity (0) October 24, 2012 The Chamber of Commerce and Industry WA has set out a broad agenda to boost the nation’s productivity through economic reform. 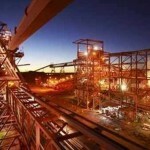 Olympic Dam shelving means costs in SA fall (0) October 24, 2012 Oz Minerals boss says costs in SA’s mining sector are falling because of the decision to shelve the Olympic Dam expansion. 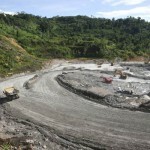 People of PNG want seabed mining halted (0) October 24, 2012 Locals in Papua New Guinea have petitioned the government to stop a seabed mining project along the nation’s coast. 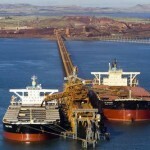 Southern Cross wins Rio Tinto Cape Lambert contract (0) October 23, 2012 Southern Cross Electrical Engineering has won Rio Tinto’s electrical and instrumentation package at Rio Tinto’s Cape Lambert Port Expansion project. Kagara enters administration (4) October 23, 2012 Australian zinc miner Kagara has extended it voluntary administration period. 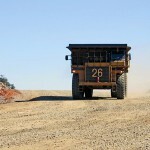 Miners need to improve social license to operate: NSW Minerals Council (2) October 23, 2012 Head of NSW Minerals Council says the mining industry needs to better communicate with the community in order to maintain its social license to operate. BMA EBA gets up in vote (0) October 23, 2012 An enterprise bargaining agreement vote covering Bowen Basin BHP Billiton-Mitsubishi workers has passed. 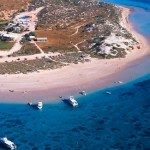 BHP attacked for planned oil exploration near reef (0) October 23, 2012 Conservation groups have slammed a plan by BHP Billiton to explore for oil 5km from the World-Heritage listed Ningaloo Reef off Western Australia’s north coast. South Australia provides funding for Indigenous job seekers (2) October 23, 2012 $709,000 worth of funding has been announced for the Connecting Aboriginal People to Mining (CAPM) program, which will train indigenous job seekers in South Australia. 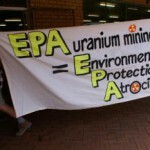 Queensland to recommence uranium mining (36) October 23, 2012 The Queensland Government announced yesterday that uranium mining would recommence in the state, overturning a ban which has lasted since 1982. 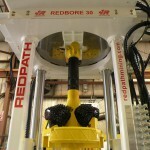 Redpath brings smallest raise drill to Australia (0) October 22, 2012 Redpath has developed the lightest, most compact raise drill to ever hit the Australian market. OTOC wins Rio accommodation contract (0) October 22, 2012 Rio Tinto has awarded OTOC the accommodation contract for its Brockman 4 operations. BMA EA ballot results released today (0) October 22, 2012 The result of an enterprise bargaining agreement ballot held last week over BMA mines in the Bowen Basin will be released today. Action Drill & Blast win John Holland blasting contract (0) October 22, 2012 NRW subsidiary Action Drill & Blast has won a $100 million contract with John Holland at the Isaac Plains mine. 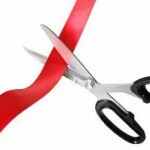 Mining industry body calls for cuts to red tape (0) October 22, 2012 The Association of Mining and Exploration Companies has released a set of efficiency-boosting suggestions to the Western Australian government. 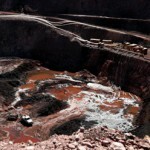 Sinosteel to delay Blue Hills iron ore mine (0) October 19, 2012 Sinosteel will delay its Blue Hills iron ore project. Mount Gibson, Atlas Iron cuts workers (0) October 19, 2012 Mount Gibson Iron has announced it will cut its workforce by 270 positions, while Atlas will cut its exploration team. 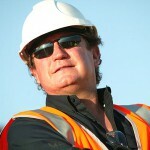 CMFEU and QRC lock heads over QLD mining taxes (0) October 18, 2012 CFMEU district president Stephen Smyth has hit out at a recent QRC survey of mining companies, saying that it does not portray ‘the realities’ of company’s investment intentions. 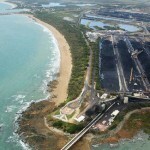 Community worried about environment despite support for coal project (0) October 18, 2012 A telephone survey of residents in Queensland’s north has found most are in favour of the proposed Dudgeon Point coal terminal development but are still concerned over environmental impacts. 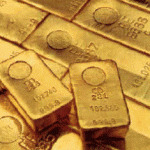 Jobs cuts at Alacer Gold (0) October 18, 2012 Alacer Gold said it could not rule out further job cuts as it continues to review its Australian operations. 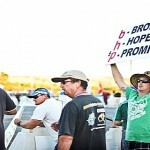 Contractors will struggle to find work in Bowen Basin: CFMEU (0) October 18, 2012 The CFMEU says contract workers in the Bowen Basin will struggle to find work in the region as more companies cut jobs. 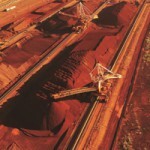 Iron ore growth will continue to slide: BHP (0) October 18, 2012 BHP Billiton’s chief executive Marius Kloppers says the global iron ore market will slow down as China’s steel consumption has reached its peak. 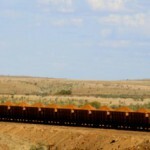 BHP rules out new mining projects in QLD (0) October 18, 2012 BHP Billiton head Marius Kloppers has essentially ruled out new mining projects in Queensland. 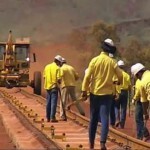 Northern Territory to streamline mining projects (0) October 18, 2012 The Northern Territory’s new government has promised to fast track mining in the region. Australia and India discuss uranium sales (0) October 17, 2012 The sale of Australian uranium to India is set to dominate talks as Julia Gillard visits New Delhi. 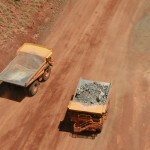 Mining sector cautious but optimisitc: report (0) October 17, 2012 Commonwealth Bank’s Future Business Index shows that while mining companies are optimistic about the future, they are unlikely to undertake new capital investment. Voluntary redundancy email sent to Sedgman staff (0) October 17, 2012 Engineering solutions company Sedgman have sent an email to staff members to notify them of job cuts within the company and asked its workers to apply for voluntary redundancy. 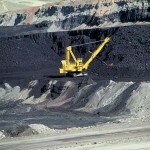 Ensham to slash coal mining jobs (0) October 17, 2012 Ensham has announced that it is cutting 250 workers from its coal mine. 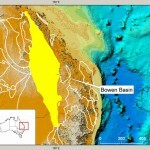 New area approved for exploration (0) October 16, 2012 Sunrise Minerals has won the right to explore part of Western Australia’s ‘quiet radio’ zone after successfully incorporating a Radio Emissions Management Plan into its exploration program. 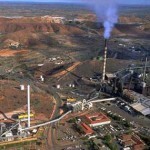 Xstrata confirms job cuts at Bowen Basin (0) October 16, 2012 Xstrata Coal has confirmed it will cut jobs at its Oaky Creek mine in Queensland’s Bowen Basin. More foreign workers destined for mines (0) October 16, 2012 “Pit-stop” crews of temporary overseas workers could be the next cost-saving option for mining companies as they look to cut labour expenses. 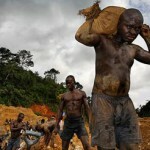 Protests over Chinese miner killed in Ghana (0) October 16, 2012 A Ghanaian government crackdown on illegal mining in the country has killed a 16 year old Chinese miner, and sparked protests from China. 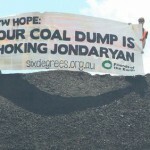 Protestors arrested at Jondaryan (218) October 16, 2012 Two protestors were arrested yesterday after entering the New Hope Group coal loading site at Jondaryan during a rally. 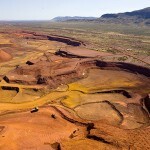 NRW wins contract for Rio Tinto’s Yandicoogina mine (0) October 16, 2012 NRW has won a $90 million contract as part of Rio Tinto’s Yandi Sustaining Project for its Yandicoogina iron ore mine. AMMA calls on gov to act on Fair Work reforms (0) October 16, 2012 The AMMA has called on the Federal Government to act on the five key Fair Work reforms, or put $240 billion worth of potential projects at risk. 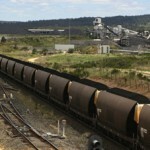 Victorian brown coal ‘unlikely’ to succeed (0) October 15, 2012 A new report suggests that Victoria’s brown coal industry is ‘unlikely’ to suceed pointing to low quality coal and transport costs. Reduced dredging for coal terminal under new system (0) October 15, 2012 The Fitzroy Coal Terminal at Port Alma is set to use a new and innovative loading technique if it gets the go ahead from the government. Ausenco wins Isaac Plains CHPP contract (0) October 15, 2012 Ausenco has won a $66 million contract to continue providing operations and maintenance the Isaac Plains coal mine’s CHPP. Less than a week to go until Australian Mining’s safety conference (0) October 15, 2012 There is less than a week left to still get tickets to Australian Mining’s safety conference. 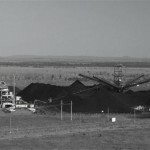 Coal companies to cut jobs blaming the royalty hike (0) October 15, 2012 A survey reveals coal companies in Queensland are looking to cut costs and jobs after the recently announced coal royalty increase puts pressure on the sector. 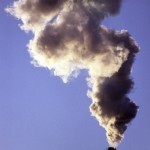 Russia may quadruple coal output (0) October 15, 2012 Russia may grow its current coal production levels by five times by 2030, dwarfing Australian production rates which have begun slowing down. 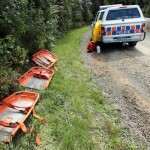 Two men die in abandoned mine used as meth lab (0) October 15, 2012 An abandoned mine in New Zealand has been uncovered as a drug lab, after police responded to calls of an explosion which killed two men at the site. 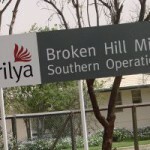 Broken Hill miners to be payed by performance (0) October 12, 2012 A pay by performance model has been agreed upon at Perilya’s silver, lead and zinc mine at Broken Hill. 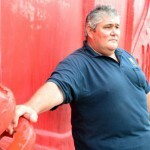 Miner says he’s a ‘big bloke’ but ‘very fit’ (0) October 12, 2012 A miner who was found to be morbidly obese and deemed unfit to work admits he’s a big bloke but claims he is very fit, hitting back at critics. 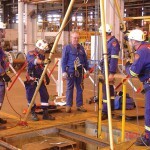 Mining boom leads to injury boom (0) October 12, 2012 There has been an increasing number of workplace injuries following on the back of mining expansions. Greenpeace to protest Abbot Point Coal expansion (0) October 12, 2012 Greenpeace has warned it will undertake ‘peaceful civil disobedience’ to stop the expansion of Abbot Point Coal Terminal. New Kronic drug test (1) October 12, 2012 Mining companies will soon have access to a more extensive drug testing kit after a year of research into synthetic cannabinoids like Kronic. World’s largest copper mine goes underground (1) October 12, 2012 Chile’s Chuquicamata mine, the world’s largest open cut copper mine, will moving underground. Greens protest following uranium mine approvals (0) October 12, 2012 Protestors marched outside of Toro Energy’s offices after the government approved the miner’s Wiluna uranium project. 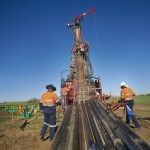 The QLD Government wants cash for CSG exploration, angering miners (0) October 11, 2012 The Queensland Government has again angered the mining industry over plans to introduce cash bidding for coal seam gas (CSG) exploration. GR Engineering settles legal battle with Gold Ridge (0) October 11, 2012 GR Engineering has finally reached an agreement with St Barbara subsidiary Gold Ridge mining over a long running legal battle. Queensland Alumina Limited cuts jobs (0) October 11, 2012 Queensland Alumina Limited (QAL) confirmed jobs will be cut at its refinery in Gladstone. 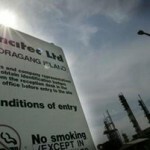 Lynas temporary operating licence suspended (0) October 11, 2012 The Malaysian High Court has extended the suspension of Lynas’ temporary operating licence until early November. 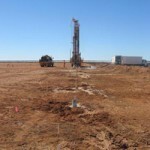 Western Australia’s first uranium mine approved (0) October 11, 2012 Toro Energy’s Wiluna uranium project has been approved by the Western Australian Government. Calls for a new runway at Perth Airport (0) October 10, 2012 Qantas chief Alan Joyce agrees that Perth Airport needs a third runaway, saying congestion and longer taxiing times were a major problem. Gregory mine officially closes (3) October 10, 2012 After more than 33 years in operation, Gregory coal mine officially closes today, the third Bowen Basin mine to shut down this year. Boom blamed for ditching trade (0) October 10, 2012 New figures show WA apprentices and trainees are dropping out of their training, causing concern that the skills shortage facing the mining industry will only worsen. 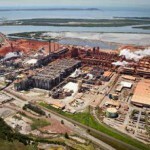 Rio warns of more job losses as it cuts costs (0) October 10, 2012 Rio Tinto chief Tom Albanese has warned of more job cuts ahead as it cuts costs and Chinese demand weakens. Curragh coal to cut contractors (22) October 10, 2012 Wesfarmers’ Curragh coal mine will cut back contractors as it moves from a seven to five day roster. 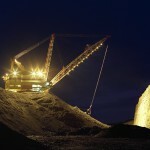 Xstrata begins coal job cuts in Central West (0) October 10, 2012 Xstrata has begun cutting coal mine jobs at its Ulan coal mine in NSW’s Central West. 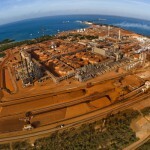 BHP prices $1bn note issue (0) October 10, 2012 BHP Billiton has priced a five year $1 billion note issue. FIFO defended in art (0) October 9, 2012 Andrew Quilty got tired of people calling his FIFO mates “cashed up bogans”, so he started making some art showing what he saw in his mates. Ashton mine gets the go ahead (0) October 9, 2012 After being rejected last year amid fears of health and water safety, Ashton Coal’s Camberwell mine in the Hunter Valley has had a revised application approved. Women to take on men in mining (4) October 9, 2012 The Queensland Government is offering $20,000 to encourage more women into the mining industry. 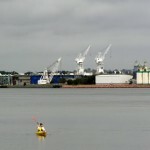 Record profit for port despite Newman’s criticism (0) October 9, 2012 Premier Campbell Newman refused to retract his negative comments about Gladstone Ports Corporation despite the companies huge profit increase. 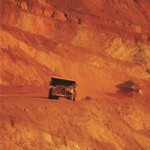 BHP will cut iron ore jobs (0) October 9, 2012 BHP has announced it will cut jobs across its iron ore operations. Massive machinery launched at MINExpo [Images] (0) October 9, 2012 Australian Mining has put together a short round up of some of the best best pieces of heavy mining equipment launched at MINExpo, in Las Vegas. Cat rolls out its largest ever underground truck (0) October 8, 2012 Caterpillar has launched its new AD690 underground articulated truck. Mount Lyell disaster questioned (3) October 8, 2012 The cause of the Mount Lyell mining disaster is being questioned on the eve of its centenary. Toxins rise in Hunter’s suburbs (0) October 8, 2012 A new pollution analysis suggests residents in the Hunter are being exposed to some toxins at levels more than 100 times higher than they were a decade ago. Butler protests outside BHP HQ (0) October 8, 2012 Musician John Butler has performed outside BHP Billiton’s Melbourne headquarters to protest against the company’s involvement in the proposed Price Point hub in Western Australia’s Kimberley region. BHP evacuates miners after rock fall (0) October 8, 2012 BHP Billiton has evacuated its Perseverance nickel mine following a rock fall incident. 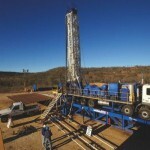 Phosphate mine approved for Mount Isa (0) October 8, 2012 The Queensland State Government has approved a multi-million dollar open cut phosphate mine for north-west of Mount Isa. Morbidly obese miner allowed back to work (0) October 8, 2012 A 163 kilogram, morbidly obese miner previously deemed unfit to operate machinery due to ‘a significant risk’ of a heart attack has had the ruling overturned. 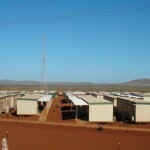 Diploma win Rio Tinto FIFO accommodation contract (0) October 8, 2012 Rio Tinto has awarded Diploma Group a $49 million contract for its Wickham Accommodation expansion project. 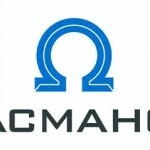 Macmahon nixes media takeover speculation (0) October 8, 2012 Macmahon has entered a trading halt following media speculation over a Chinese takeover. Contractor killed by falling drill rods (13) October 8, 2012 A man has been killed in Rutherford, NSW after being crushed by falling drill rods. 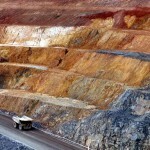 Aussie mining funds heading offshore (0) October 5, 2012 Funding for new mining projects in Australia has dried up and what money companies do have is being spent overseas, according to the Association of Mining and Exploration Companies. 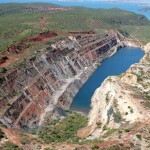 More nickel mines may close: WA Government (0) October 5, 2012 Nickel exploration is expected to drop further in the year ahead and if prices keep falling then “more mines may close,” according to WA Mines Minister Norman Moore. More dusts tests in the Hunter (0) October 5, 2012 The New South Wales Minerals Council is supporting the call for more research into air quality along the Hunter Valley’s rail corridors. 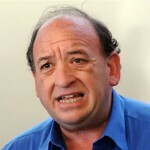 Union tells “anti-mining” group GetUp to back off (0) October 4, 2012 Union heavyweight Paul Howes says the Australian Workers’ Union will continue to run advertisements promoting mining in Tasmania’s Tarkine region, despite protests by lobby group GetUp. Rio to make hay in the Pilbara (0) October 4, 2012 Water is now flowing at Rio Tinto’s agricultural project in the Pilbara, which uses water from the company’s Marandoo mine to grow hay for the company’s pastoral stations. Hunter miners should use shuttle bus (0) October 4, 2012 A Hunter Valley woman has launched a campaign to get the region’s mining workforce out of their cars and onto buses in an effort to reduce traffic congestion. Mining industry still strong: Palmer (0) October 4, 2012 Mining magnate Clive Palmer says the mining industry will remain strong for many years and the current downturn is unlikely to derail projects already being planned. 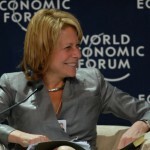 Anglo American chief to head De Beers (0) October 4, 2012 Anglo American CEO Cynthia Carroll has been named as the chairman of diamond company De Beers. 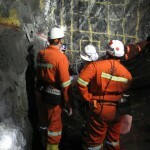 Rio Tinto to have world’s largest underground automated system at Argyle (0) October 4, 2012 Rio Tinto has announced it will deploy the world’s largest underground automation systems at its underground operations at the Argyle diamond mine. Xstrata extends FIFO contract (19) October 4, 2012 Xstrata Copper has extended its existing fly in fly out contract with Alliance Aviation. 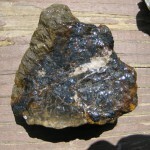 ‘Schizoid’ government scaring off investors (0) October 3, 2012 Mining company Tasmania Magnesite has accused the government of stifling investment opportunities in the state. 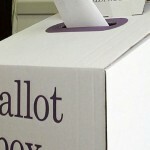 Aussies want a fair go for small miners (0) October 3, 2012 A new survey suggests Australians still support the underdog with one third of respondents saying the mining industry is too heavily dominated by multinationals. 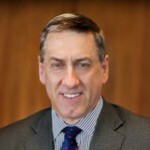 Boart Longyear CEO resigns (0) October 3, 2012 Boart Longyear CEO Craig Kipp has made a surprise resignation following the company’s move slash spending for the rest of 2012. 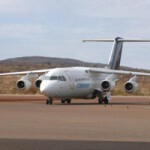 Miners to pay more for FIFO congestion (0) October 3, 2012 Mining companies will have to pay more to use Perth Airport during peak hours because of the congestion caused by fly-in fly-out workers. Tough run for world’s top ten gold miners (0) October 3, 2012 Despite being the top ten gold miners in the world during historically high prices, getting on top, and staying there, is difficult. Dairy company plans to mine coal (0) October 3, 2012 Fonterra, the global dairy company, is planning to develop a major coal mine in New Zealand. 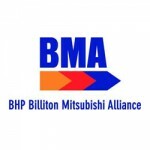 BHP to sue CFMEU for millions (0) October 3, 2012 BHP Billiton subsidiary BMA is suing mining union CFMEU for $2.4 million for unlawful work stoppages. 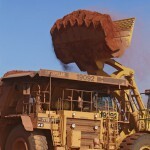 Ore prices need to rise (0) October 2, 2012 A report released today by a top rating agency said that iron ore prices will need to rise to relieve the ratings pressure facing some of the industry’s top producers. 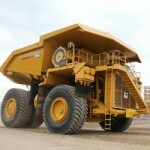 Caterpillar’s new haul truck [images] (0) October 2, 2012 If you’re interested in Caterpillar’s new haul truck, we’ve put together some pictures of it in action. 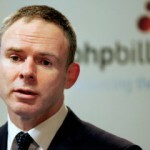 BHP to focus on WA gas, Canada potash (0) October 2, 2012 BHP Billiton says it will focus on oil and gas in Western Australia and potash in Canada as it cools off other expansions in Australia. 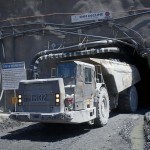 Newcrest defends against legal action (0) October 2, 2012 Newcrest is gearing up to fight legal claims that threaten its plans to expand its massive Cadia gold mine. New Zealand tradies flocking to Australia (0) October 2, 2012 A record number of tradespeople are now leaving New Zealand to take up higher paying jobs in Australia, according to new data. 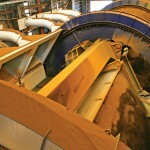 Fortescue commissions second iron ore processor at Christmas Creek (0) October 2, 2012 Fortescue has put first ore through its second ore processing facility at its Christmas Creek mine. 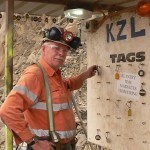 26,000 mining jobs still on offer in Queensland (0) October 2, 2012 Around 26,000 machine operators, graduates, and tradespeople will be needed over the next few years to keep Queensland’s mining industry in full swing, according to skills advisor Kinetic Group. The Safety Conference is counting down (0) October 2, 2012 There are only a few days left to get face to face with the people who making the laws that control safety on your site. 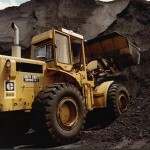 Cat develops new Unit Rig trucks (0) October 2, 2012 Caterpillar has announced it will develop a new Unit Rig mining truck. Mining boom isn’t over: HSBC chief (0) September 28, 2012 Australia’s mining boom isn’t over yet and the slowdown in China’s economy is likely to be “cyclical rather than structural,” according to HSBC chief economist Paul Bloxham. NASA awards asteroid mining contract (0) September 28, 2012 NASA has awarded a group of United States-based researchers a contract to explore the feasibility of asteroid mining. MINExpo a success but worries still abound (1) September 28, 2012 While MINExpo in Las Vegas is a huge success, the spectre of short to medium term growth casts a shadow over the event. 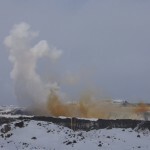 Miner pleads guilty to compliance infringement (0) September 28, 2012 Integra Coal has pled guilty in the Land and Environment Court to exceeding its waste dump limits. 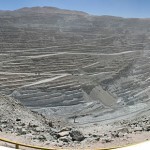 Most controversial miners of 2011 (0) September 28, 2012 A new report has labeled BHP Billiton, Rio Tinto, Anglo American, and Barrick Gold as some of the most controversial mining companies of 2011. 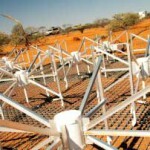 Geosequestration research facility to be developed (0) September 28, 2012 A new geosequestration research facility will be developed in Western Australia to study advance carbon storage technologies. 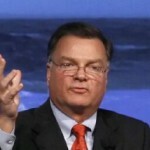 Anglo American to cut coal production (0) September 28, 2012 Anglo American says it will cut coking coal production over the next few months in response to weakening market demand. Incitec Pivot begins Moranbah ammonia production (0) September 28, 2012 Incitec Pivot has progressed at its Moranbah ammonium nitrate complex, producing its first ammonia. Inquiry to question exploration regulation (0) September 27, 2012 A new inquiry will look into the regulatory barriers faced by minerals and resource exploration companies. 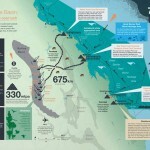 BHP put Olympic Dam expansion back in the spotlight (0) September 27, 2012 BHP Billiton has sought an extension from the SA Government so it can invest more time to plan its Olympic Dam mine expansion. NQ Supply Chain Committee established (0) September 27, 2012 The North Queensland mining industry is set to benefit from a new committee aimed at improving infrastructure, planning and development in the region. Union adamant: it’s not about pay (0) September 27, 2012 The CFMEU has hit out at the Federal Government over the ongoing enterprise agreement dispute with BHP Billiton Mitsubishi Alliance, stating the main issues do not centre around pay rise. 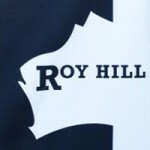 Rinehart’s Roy Hill drops senior staff (0) September 27, 2012 Mining magnate Gina Rinehart has cut senior executives from her Roy Hill iron ore project. 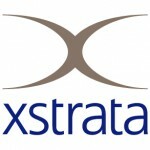 Xstrata suspends Cosmos mine work, cuts workers (0) September 27, 2012 Xstrata has announced it will suspend operations at its Cosmos nickel mine and reduce its workforce. CFMEU member sacked for bullying de-unionised coal worker (0) September 27, 2012 Conflict between Hunter Valley unionists and a worker on an individual contract has led to allegations of harassment, foul play, and unfair dismissal. 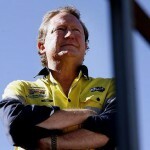 Fortescue’s Forrest slams greenies as “spoilt children” (0) September 27, 2012 Fortescue’s Andrew Forrest has compared “extremist” environmentalists to ‘spoilt children’. Incitec Pivot defers building explosives plant (0) September 26, 2012 Incitec Pivot has announced it will defer development of its planned ammonium nitrate plant at Kooragang Island, in Newcastle for two years. Mining jobs blamed for poor work-life balance (0) September 26, 2012 The new Australian Work and Life Index report suggests those working in the mining industry are doing it tough. 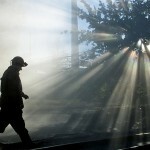 20 dead in latest Chinese coal accident (0) September 26, 2012 Twenty Chinese coal miners are dead and another 14 are injured after a locomotive carrying workers failed and slipped down a mine shaft. 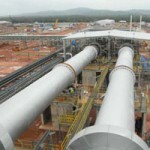 Lynas to face fresh legal challenge (0) September 26, 2012 Whilst Lynas won a temporary operating licence for its rare earths plant in Malaysia earlier this month, the company will soon be back in court fighting to retain its approvals. 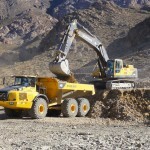 Liebherr equipment in action [images] (0) September 26, 2012 Mixing the old with the new, here’s a collection of some massive Liebherr haul trucks and excavators in action. 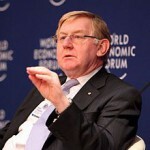 Unions should temper wage demands: Ferguson (0) September 26, 2012 Resources Minister Martin Ferguson says unions need to tone down their wage demands now that commodity prices have dropped. 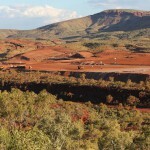 New study to open up Yilgarn iron ore province (22) September 26, 2012 Early studies by the Yilgarn Iron Producers Association into opening up the region have found infrastructure upgrades are key to unlocking the province. 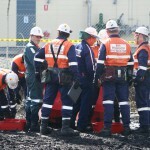 Southern Cross win Rio Yandi contract (0) September 26, 2012 Rio Tinto has awarded Southern Cross Electrical Engineering the contract for its Yandi power supply work. Xstrata’s Lady Loretta production ahead of schedule (0) September 25, 2012 First ore production has commenced today at Xstrata’s Lady Loretta zinc mine, ahead of schedule. No injuries in Hastings Deering Mackay fire (0) September 25, 2012 Hastings Deering say there were no injuries from a fire at its Caterpillar machinery plant in Mackay yesterday and the clean up effort is now underway. No more snags and sauce for FMG workers (0) September 25, 2012 Pilbara miner Fortescue Metals Group has resorted to cutting snags and sauce, stationary, coffee, and other staff benefits in order to save money. 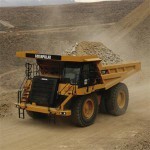 Caterpillar cuts earnings forecast (0) September 25, 2012 Heavy equipment manufacturer Caterpillar has cut its earnings forecast for 2015 as mining companies scale back expansions and shelve major projects. Leighton wins billion dollar Pilbara mining contract (0) September 25, 2012 In a reverse of the current trend, Leighton Contractors has been awarded a $1.5 billion, full service contract in the Pilbara. Newmont cuts workers (4) September 25, 2012 Newmont has announced that it will begin cutting workers today at its operations around the world, reducing its Australian workforce by 50 positions. 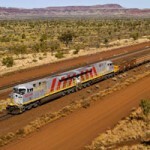 GE launches global mining unit (0) September 25, 2012 GE has announced it will launch a new global mining business unit based in Australia. 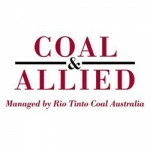 Coal and Allied to cut Hunter Valley mining jobs (0) September 24, 2012 Rio Tinto subsidiary Coal and Allied has started cutting jobs in the Hunter Valley in an effort to curb rising costs. “Culture of cover-ups” at deadly WA mines (0) September 24, 2012 Mines in Western Australia are amongst the most unsafe in the country, according to new data from Safe Work Australia. 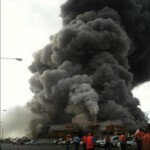 Mackay Caterpillar plant burns down [image] (0) September 24, 2012 Emergency services are currently struggling to bring a fire under control at the Hastings Deering plant in Mackay. 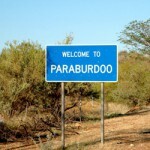 Prospectors rescued (0) September 24, 2012 Three gold prospectors have been found by an air and land rescue team after failing to return from exploration near Paraburdoo in the Pilbara. 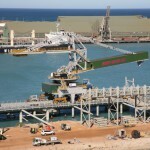 NRW reduces work at Port Hedland (0) September 24, 2012 NRW’s scope of work for the Port Hedland inner has been reduced. NZ coal miners march on parliament (0) September 24, 2012 Miners facing job cuts at Solid Energy’s Spring Creek and Huntly East coal mines will tomorrow march on New Zealand’s parliament. Man crushed by aluminium in Newcastle (0) September 24, 2012 A man has been crushed while loading aluminium at Newcastle’s Carrington docks. 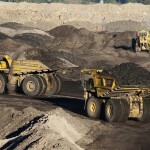 9000 jobs canned under mining taxes: NPA MP (0) September 21, 2012 Queensland MP George Christensen has blamed the closure of coal mines, axed projects and job cuts on mining taxes. 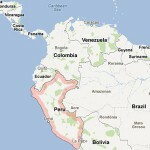 Violent protests kill one at Barrick Gold’s Peru mine (0) September 21, 2012 Barrick Gold has halted production on one of its gold mines in Peru following violent protests that have left one protestor dead and another four injured. Tough alcohol bans hit Pilbara mining towns (0) September 21, 2012 Tough new restrictions on alcohol sales in Pilbara mining towns will come into force early next month. FIFO workers prevent oversupply in mining regions (0) September 21, 2012 Temporary fly-in fly-out workers are helping prevent unsustainable growth in mining communities, according to research by the Reserve Bank. Newcrest reduces production at Lihir (2) September 21, 2012 Newcrest’s Lihir mine has been forced to temporarily reduce production by a quarter due to mechanical issues at its plant. The South African strikes: Shooting themselves in the foot [Opinion] (0) September 21, 2012 When the metal markets were flooded and workers faced cut backs and retrenchments, strikes played into the hands of employers. 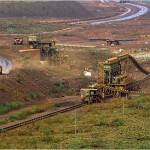 Chinese iron ore demand still growing (0) September 21, 2012 Despite the current slump in iron ore prices, analysts believe peak prices are still more than a decade away. WDS wins massive LNG contract (31) September 21, 2012 WDS has won a huge $280 million contract to provide gas gathering works for Australia Pacific LNG. 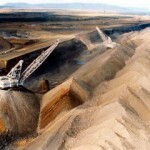 BHP dumps plans for another 3 coal mines (222) September 20, 2012 BHP Billiton has canned plans to build the massive Red Hill and Saraji East coal developments in Queensland, citing a “challenging external environment” for the cutback. Fortescue celebrates first ore through second train unloader (0) September 20, 2012 In an upturn for the embattled miner, Fortescue has celebrated its first ore through its new second train unloader in Port Hedland. What happened to Rio Tinto’s plan to fill 6,000 mining jobs in four months? 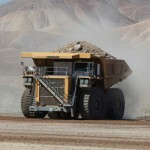 [opinion] (0) September 20, 2012 Earlier this year Rio Tinto announced, to much fanfare, a plan to fill 6,000 mining jobs in four months. QRC slam Greenpeace report (3) September 20, 2012 The Queensland Resources Council has slammed the latest Greenpeace report on coal, stating that it has ‘zero credibility’. Reform policy or mining will continue to slide: Hooke (1) September 20, 2012 The demand for Australia’s resources will continue, but better policies are needed to stay competitive in the global market. 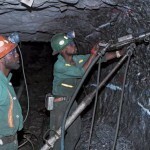 Budget woes at mining downturn (0) September 19, 2012 Analysts say that a drop in metal prices of up to 16 per cent will affect the Federal Government’s promise of surplus. 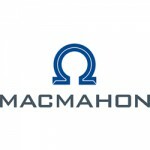 Macmahon shares plummet (0) September 19, 2012 Macmahon Holdings shares plummeted 40 per cent this morning after the company cut its earnings estimate in half for 2012-13 and chief executive Nick Bowen resigned. 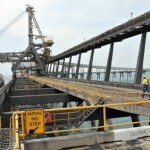 Government tips resources exports to rise amid falling prices (0) September 19, 2012 The Bureau of Resources and Energy Economics says Australia’s resources exports are expected to grow over the next year despite falling prices. 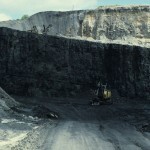 More QLD coal closures to come (0) September 19, 2012 New Hope managing director Robert Neale has joined Federal Resources Minister Martin Ferguson in warning there might be more closures to come in Queensland’s coal industry. 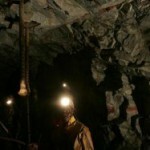 US coal miner closes eight mines, sacks 1,200 workers (0) September 19, 2012 US coal miner Alpha Natural Resources has axed 1,200 jobs and closed eight mines around Virginia and Pennsylvania. New iron ore port opens in Geraldton (0) September 19, 2012 Gindalbie Metals has opened new iron ore export infrastructure at Geraldton Port. Driller cuts jobs (0) September 19, 2012 Coretrack has announced it is restructuring its Core Level Recorder System product line, which will result in a reduction of its local workforce. 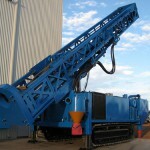 Esco aims for Bradken in GET legal dispute (0) September 19, 2012 Australian mining equipment manufacturer Bradken has received notice of a patent infringement from former partner Esco regarding its new ground engaging tools. 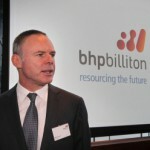 Glory days are over: BHP (0) September 18, 2012 BHP Billiton has put a freeze on executive salaries and warned that recent highs in some parts of the mining sector are unlikely to be repeated. 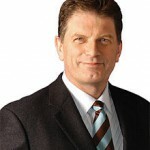 Melbourne to host international mining conference (0) September 18, 2012 Victorian premier Ted Baillieu has announced Melbourne will host a new international mining conference which will rival some of the biggest in the world.